Your home is your sanctuary. When it gets invaded by pests, it’s easy to feel like your sanctuary is under attack. In many ways, it is. There are certain pests, like the ones listed below, that can really do harm to your peace and your home simultaneously. What makes bed bags a destroyer of your peace of mind is that you can catch them from anywhere. A bus, a home, or any public place. Bed bugs are experts at hitch hiking. Once they get into your home, they will make a home in your carpet, in your clothes, and in your mattress. Bed bugs are a difficult pest to remove, so it’s best to call in a professional pest control specialist. Mice and rats assault your home and your peace of mind in many ways. They have the ability to chew through virtually anything. They will chew holes in your walls, chew through wires, chew through food boxes, and chew through cabinet doors. Their droppings also present a very serious health hazard to you and your family. They will defecate and urinate anywhere, leaving diseases and germs in their wake. 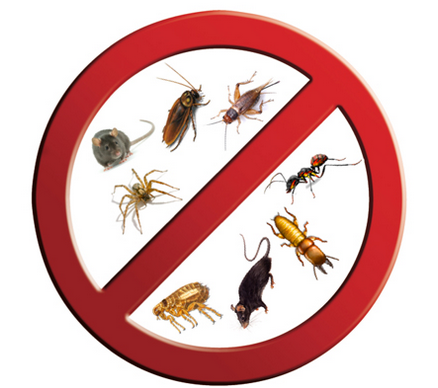 Traps and poison are do-it-yourself options, but to ensure that the entire nest is cleaned out, you should hire a professional pest control service. A common foe for the vigilant homeowner, termites can take a strong home and reduce it to a crumbling skeleton. Termites are winged bugs who enjoy eating the wooden framework of your home. They create nests that are tubes made of mud that are attached to flat surfaces in your home. Termites can go undetected for months and even years due to how they primarily live within the walls of your home. If you think you might have termites, contact your local pest control service immediately for an inspection. The most dreaded pest for families, cockroaches can find their way easily into your home and begin making a nest. They’ll only explore at night or in the dark for food and water. Not only are they a horrible sight to behold, but they also promote the spread of diseases. Their presence reduces your indoor air quality, making allergies worse and triggering asthma symptoms. While pests in your home are annoying, the threat they pose to your family’s health is the most important issue. A pest infestation should be taken seriously and should be treated immediately.